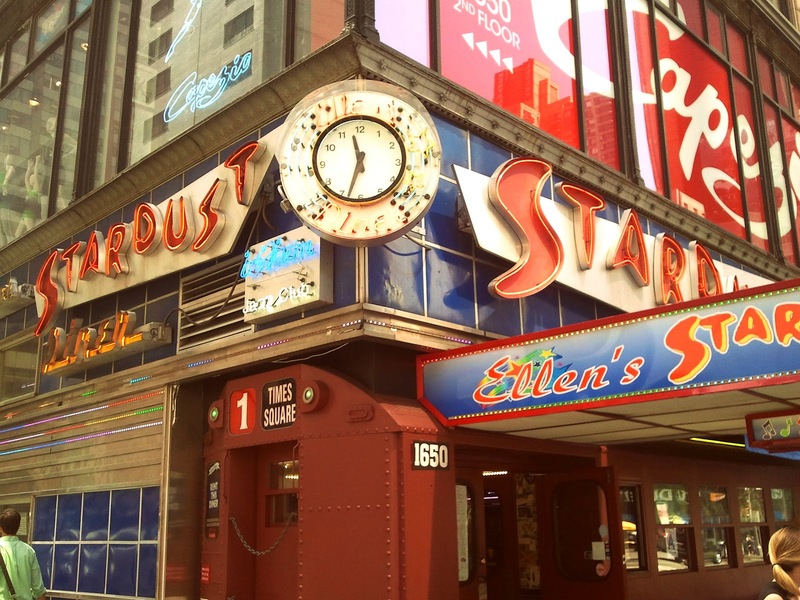 Opened in 1987, Ellen's Stardust Diner is a retro 1950s theme restaurant near Times Square. Many of the singing waitstaff have moved on to successful careers on Broadway and on American Idol. The restaurant features a gallery of past "Miss Subways," a title given to select New York City women between 1941 and 1976. Around 200 women held the title during the program's run.